- Prof. Hanan Mengash, A Decision-Guided Group Package Recommender based on Multi-Criteria Optimization and Voting, defended in the Spring of 2016. Dr. Mengash is a computer science professor at Princess Nora Bin Abdul Rahaman Univeristy. - Prof. Hesham Altaleb, Market-based Decision Guidance for Electric Power Consortia, 2015. Dr. Altaleb is a Computer and Information Sciences professor at Muhammad Bin Saudi University. - Dr. John McDowal, A Framework for Optimal Service Composition and Execution Based on Business Process Management Notation (BPMN), 2014. Directed jointly with Professor Kerschberg. Dr. McDowal is a computer scientist at Booz-Allen-Hamilton. - Dr. Nathan Egge, Decision Guidance Query Language (DGQL): Algorithms based on Preprocessing and Continuous Approximations, 2014. Dr. Egge is currently a research staff member at the Mozilla Corporation. - Dr. Susan Farley, Top-k Algorithms for SimQL: A Decision Guidance Query Language Based on Stochastic Simulation, 2013. Dr. Farley is a computer scientist at Booz-Allen-Hamilton. - Prof. Chun-Kit Ngan, A Framework and Algorithms for Multivariate Time Series Analytics: Learning, Monitoring, and Recommendation, 2013. Directed jointly with Professor Lin. Dr. Ngan is a professor at Penn State University. - Dr. Guodong (Gordon) Shao, Decision Guidance for Sustainable Manufacturing, 2013. Directed jointly with Professor Ammann. Dr. Shao is a Computer Scientist working on decision support for Smart Manufacturing Systems at the National Institute of Standards and Technology (NIST). - Dr. Juan (Judy) Luo, Regression Learning in Decision Guidance Systems: Models, Languages and Algorithms, 2012. Dr. Luo works at George Mason University. - Dr. Khalid Alodhaibi, Decision-Guided Recommenders with Composite Alternatives, 2011. Dr. Alodhaibi is currently CIO and Executive Director of King Fahad Medical City, Saudi Arabia. - Dr. Lei Zhang, Securing the Information Disclosure Process, 2010. Directed jointly with Professor Jajodia. Dr. Zhang works at Google Corporation. - Prof. Malak Al-Nury, Service Composition Framework to Unify Simulation and Optimization in Supply Chains, 2010. Dr. Malak is a professor and chair of the Information Systems department at Effat University in Saudi Arabia. She is currently on a two-year assignment at MIT. - Prof. Csilla Farkas, Secure Databases: Constraints, Inference Channels and Monitoring Disclosures, 1999. Directed jointly with Professor Jajodia. Dr. Farkas is a professor at the University of South Carolina. - Dr. Jia Chen, Multityped Constraint Algebras and Mathematical Programming in Constraint Databases, 1999. - Dr. Victor Segal, Algorithms, Optimization and Implementation of Constraint Object-Oriented Database System, 1999. Dr. Segal currently is Principle System Engineer at MITRE Corporation. - Prof. Samuel Varas, On Optimal Constraint Decomposition, Monitoring and Management in Distributed Environments, 1998. Directed jointly with Professor Kerschberg. 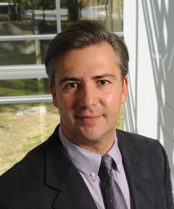 Dr. Varas is a professor at the Adolfo Ibanez University in Santiago, Chile. - Mohan Krishnamoorthy, Manufacturing Processes: Languages and Algorithms for Descriptive, Predictive and Prescriptive Analytics. Directed jointly with Professor Menasce. - Roberto Levy, A Decision Guidance Framework for Energy Public Policy and Investment. - M. Omar Nachawati, Algorithms and Framework for a Decision Guidance Management System..